This recipe was originally published on December 5, 2014. 1. Heat oven to 400 degrees F. In a blender or food processor, process the beans, carrots, olive oil, spices, and salt until thoroughly mixed and a dough forms. 2. Add cooked quinoa and combine. Adjust seasoning as needed. 3. On a baking sheet, lay the portobello caps. Spoon the stuffing mixture into the caps, pressing down firmly. Bake for 20 minutes. 4. 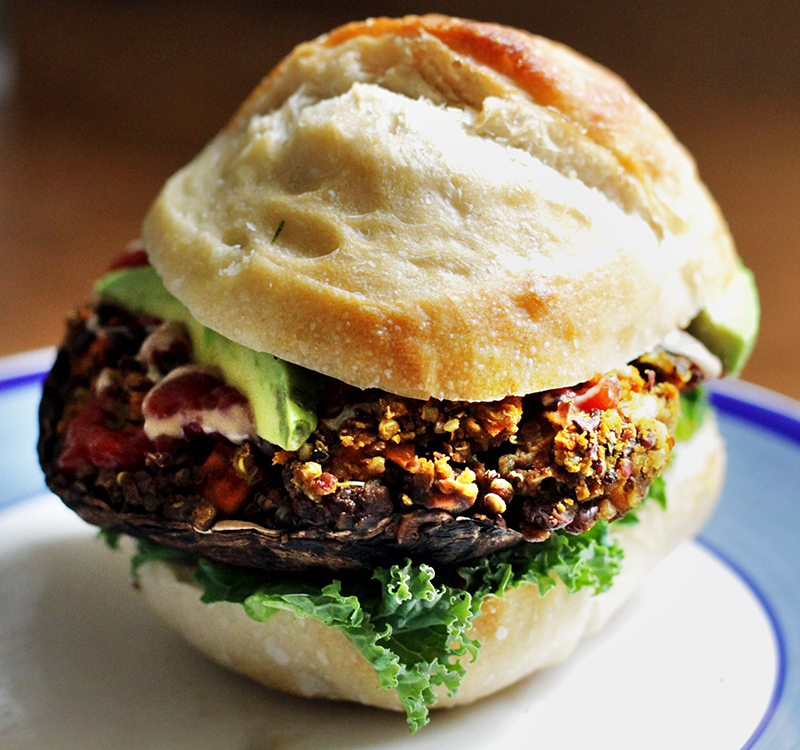 Assemble over a bun, add the mushroom, greens, avocado slices, tomato, ketchup, drizzle of tahini, any herbs (fresh chopped dill or dried oregano). Enjoy!